For the English novelist, life itself was a deadly business. There is really no appropriate way to write about a novel by Henry Green. His novels require no interpretation; they mean what they say. Reading them, you want to borrow unlikely critical terms—Roland Barthes’s “neutral,” maybe, or Clement Greenberg’s “flatness”—or describe him the way John Cage described Stravinsky, the composer he loved for having no ideas to express: “It is seeing life close and loving it so. There are no whirring magical mystifications. It is all clear and precisely a dance.” In the same way, Green himself once wrote that “literature is not a subject to write essays about,” and of course he is right, in the way that nature is not a subject to write essays about, either. It needs no decoration. Everything is there, on the surface. This essay appears in another form as the introduction to a forthcoming edition of Henry Green’s Living (New York Review Books). But this neutral clarity and flatness is also an elaborate illusion. Flatness is an effect. And so it is not without its complications. For Green’s novels are not just unusual for their attention to the literal; they are also unusual for their difficulty. The reader of Living, for instance, may well feel disconcerted by its opening pages, as if they have stumbled into a conversation between friends: There are at once too many names and not enough. A literal surface, it turns out, is almost incomprehensible. In one of his notebooks, Green once copied out this observation from Henry James’s preface to What Maisie Knew: “the muddled state too is one of the very sharpest of the realities.” That oxymoronic state, the sharp muddle, is Green’s territory. And while, sure, it resists interpretation, it is also so beguilingly strange that it does invite some kind of wary analysis: not meaning, maybe, but at least a genealogy. One way of thinking about Green is to consider what an anomaly he represents in literary history. To be an aristocrat novelist is strange enough. 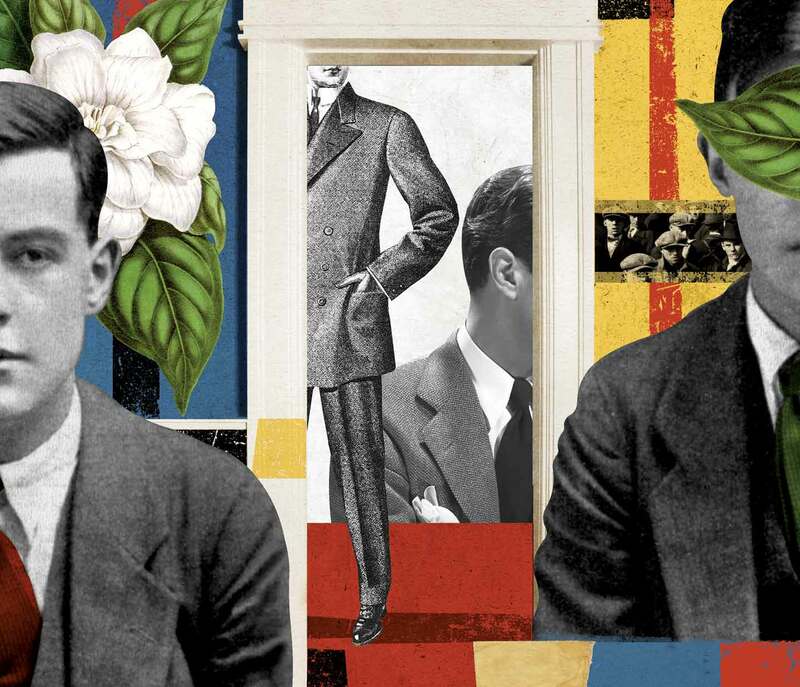 That this aristocrat novelist was the last British modernist—well, this is super-crazy. And also, he was a prodigy. Green grew up in the atmosphere of absolute nobility. His mother, Maud Wyndham, was the daughter of the second Baron Leconfield—who owned Petworth House, one of the grandest houses in Britain. His first novel, Blindness, was published in 1926, when he was only 21. In the same year he left Oxford, where he was studying English literature, and began a drifting novel called Mood, which he never finished. Meanwhile, he served an apprenticeship on the shop floor of his family’s Birmingham factory, working eight and a half hours a day and living in workmen’s lodgings. He finished Living, his second novel, in 1928. He was just 23. The novel appeared a year later, in the early summer of 1929—and in July he married Adelaide Mary Biddulph, the eldest daughter of the second Baron Biddulph. Technically, Living is without exception the most interesting book I have read…. The effects which Mr Green wishes to make and the information he wishes to give are so accurately and subtly conceived that it becomes necessary to take language one step further than its grammatical limits allow. Modern novelists taught by Mr James Joyce are at last realising the importance of re-echoing and remodifying the same themes…. I see in Living very much the same technical apparatus at work as in many of Mr T.S. Eliot’s poems—particularly in the narrative passages of The Waste Land and the two Fragments of an Agon. Mr. Joyce and Mr. Eliot! It should have been Green’s era—this modernist prodigy. But he did not publish another novel for a decade—Party Going, which came out in 1939. Instead, it became the era of Evelyn Waugh—whose early novels, like Vile Bodies and A Handful of Dust, avidly ingested Green’s inventions in the art of surface. Waugh had been more accurate in his mention of Joyce. Green’s subject wasn’t only working-class life but the universal, unavoidable minuteness of living. (“I did not read Ulysses until Living was finished,” Green claimed, but I find this simply unbelievable.) There’s something admirably distributed and egalitarian about the way Green writes this novel; he rotates his various characters with calm regularity, like a Robert Altman ensemble movie (and Green was thinking in terms of montage: The novel, he wrote, was a “kind of very disconnected cinema film”). Its elements are offered in sequential arrangements: “At the club they said ‘Dupret has fallen on his shoulder, that sort of thing is a perpetual nuisance at our age’: at the works they said, ‘the gaffer’s fallen on ’is shoulder so they say, at ’is time of life you don’t get over it so easy as that’….” And it means that the true originality of the novel is its depiction of life as habit. Late in the novel, Dupret considers his probable future, “how he would sit in office chairs for another forty years, gradually taking to golf at the week-ends or the cultivation of gardenias,” a future identical in its structure to the future of his employees: “they had really only marriage and growing old. Every day in the year, every year, if they were lucky they went to work all through daylight.” But the novel has shown this already in its careful system of repetition—trips to the pub, feeding babies, work, eating—and sudden lurid exceptions: injury, death, love. “This constant battling with a pattern which is almost geometrical brings me to a finer point…than dealing with people,” wrote Green. Living, in Living, is a grid of constraint and occasional bright escape—like a Mondrian—of which the most violent is a smuggled story of elopement. Just as in Joyce’s fiction, the everyday is striped with bands of romantic thinking, the way Eveline in Dubliners dreams of going away to Buenos Aires. Living! Such a deadly business… It was the first of Green’s process titles—Party Going, Loving, Concluding, and Doting would follow—and the word spreads like lichen throughout the text. (“It’s a funny thing to get a living by ain’t it?” “Mr. Bridges in his thinking and in most of his living was all theatre.” “But us workin’ people, we got to work for our living, yes we have….” Etc.) For how should we understand the title? It hovers between a participle and a gerund and a noun. And while this novel is very British in its accent, its title seems a shy ironic gesture toward a Continental, decadent tradition—the era of late French Romanticism. “True life is absent,” Rimbaud observed in A Season in Hell, while in Villiers de l’Isle-Adam’s studio drama Axël, there was the famous epigram: “Living? The servants will do that for us.” True life was elsewhere—in the mirages of imagination. That aristocratic decadence, I think, must be lurking, a luxuriant joke, behind the title of Green’s novel—where both the poor and the rich are forced to do the living equally. No one, sadly, is immune from the business of living. This novel is not so much political as biological. In 1944, Erwin Schrödinger would define living matter as “that which avoids the decay into equilibrium”—by delaying inevitable entropy through metabolic activity. Maybe those terms are more useful than aesthetic ones when reading Green’s experiment in fiction. Instead of plot or character, it might be more accurate to talk in terms of environment and organism. It might be useful to invoke the second law of thermodynamics. Green, after all, was a novelist who defined prose as “a gathering web of insinuations.” And his novels proceed through a certain aesthetic reticence. It is a style of absences—of pasts, of plots—of which the absent definite articles are simply the most obvious. The reader, therefore, is forced to interrogate the sentences for clues—which becomes a long training in revising and rereading. Just consider Green’s malicious way with names. In Living, there are characters with the same or similar names, or who for inexplicable reasons are known by another name: Bert Jones and Arthur Jones and Arthur Bridges (who seems to be known as Phil). A name, in other words, is unstable—no one has a single name, and everyone can share a name with someone else. But then, in this world there are so many names, most of which we will never remember, just as there are so many people with the same name. In Green’s novels, what seems like the hyper-artificial is in fact a dutiful fidelity to the impossible real. But maybe that idea of fidelity is too crude in its philosophy. There’s another way of understanding Green’s title, which is to see it as an aesthetic boast. Many years later, he would state that his aesthetic aim was “to set something living.” And his way of achieving this was his elliptical method: It was less out of descriptive accuracy than as a way of forcing the reader into activity. In A Novelist to His Readers, broadcast by the BBC in November 1950, Green describes the writing of a novel as the attempt “to create a life which is not.” What makes a work of literary artifice alive, he contends, what makes this zombie get up and move, is an emphasis on silence and conversation. To be alive is to be mysterious: This is true of humans, he argues (his philosophy would be called existential were he not so resolutely Mayfair: “do we know, in life, what other people are really like? I very much doubt it”)—and so this must be true of literary works as well. If these works are highly complex and, for some, unreadable, it is not only because of the complicatedness of life, the subject, but also because they actually imitate its rhythm, its way of happening, in an attempt to draw our attention to another aspect of its true nature. Just as life seems to alter the whole of what has gone before, so the endless process of elaboration which gives the work of these two writers a texture of bewildering luxuriance—that of a tropical rain-forest of ideas—seems to obey some rhythmic impulse at the heart of all happening. Green’s emphasis on surface, on texture, represents a new moment in the history of the novel—and the fact that it can seem so inscrutable may only mean that a certain, more grave tradition of modernism acquired a greater charisma. So it’s not surprising, perhaps, that one of his most admiring critics was Nathalie Sarraute, the nouvelle romancière. The nouveau roman, with its disdain of psychology, is a French version of the same aesthetic. In 1956, Sarraute wrote an essay—reprinted a few years later in L’ère du soupçon—which used that 1950 BBC broadcast by Green to illustrate her general argument: that the old forms of Stendhal and Balzac were outmoded. Green, she added, was one of the best living novelists. And, of course, according to the terms of Green’s argument, Sarraute is still right, even though he is dead. Adam ThirlwellAdam Thirlwell’s most recent novel is Lurid & Cute.